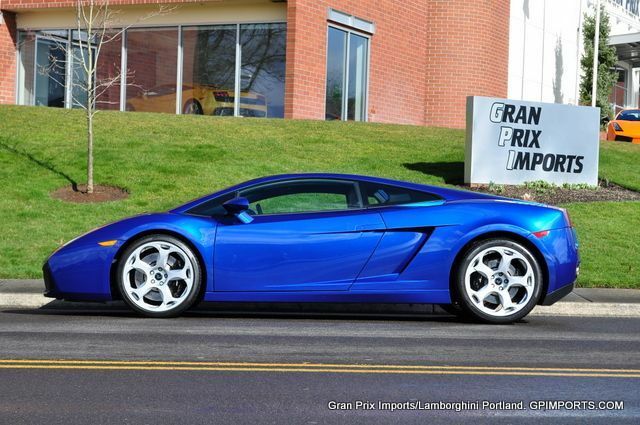 Gran Prix Imports has this 2004 Lamborghini Gallardo Coupe for right at $100,000. That may not seem like a steal, but if this sits on the showroom floor for any length of time, you’ll easily be able to pick it up for under $100k. If that still seems like a lot, remember we’re talking about a 5 year old Lamborghini that sells new for $230k to $250k! This one just had a bunch of service work done to it including a new clutch and flywheel AND the 15k service. The crazy thing about the Lamborghini Gallardo is it’s actually a car you could drive every day. On country back roads (obviously) as well as on the freeway, in traffic, downtown, etc. They’re very docile cars until you drop the hammer and race from 0 to 60 in 4.2 seconds!